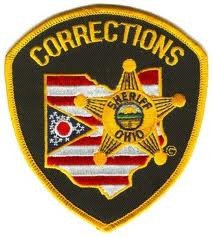 If you know an inmate incarcerated in Ohio there are many frequently asked questions you will need to know the answers to in order to maintain your communication. Most people want to know what the hours and procedures are for visitation, as well as how they can contact their inmate through the mail and telephone. We offer all that information and more, such as how to send money to your inmate's commissary account, and search for the inmate's records online. If you can't find the answer to your question about a specific facility just post it, and a member from our online community or staff will answer it. We work daily to check and update all of our information including visiting hours because they can change frequently at some institutions. Because of this, we ask all of our users to please contact the facility to verify the visiting hours prior to their visit to the institution. And if you notice we have an error in any of our information please help us out by leaving a comment so we can ensure we bring you the latest and most accurate inmate information.